Hanoi (VNA) – Deputy Prime Minister Trinh Dinh Dung called for coordination among ministries and sectors to reach a consensus on drafting documents concerning the revised Investment and Enterprise laws. 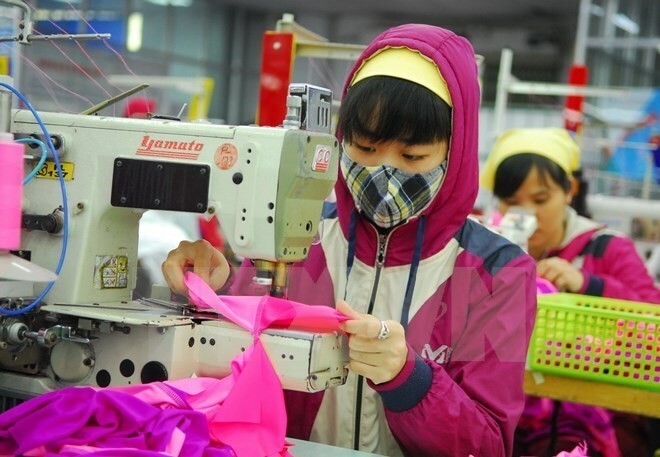 While chairing a meeting in Hanoi on May 26 to review the work, the Deputy PM highlighted goals set by the Government relating to improvement of the national investment and business environment. It is necessary to create favourable conditions for businesses and individuals to access resources to promote production and business, he stated. He praised ministries and sectors for their work to implement Prime Minister Nguyen Xuan Phuc’s guidelines, saying that drafting Governmental decrees had met the planned schedule. He urged ministries to work hard to resolve issues related to drafting legal documents for the enforcement of the revised Investment and Enterprise laws, asking for practical performance, towards harmonising the interests of the State, enterprises and people. The drafts need to be completed within the time set by the Government and Prime Minister and be high quality, he noted. Ministries and sector should make necessary studies and amendments after the legal documents are approved or are issued, he remarked. The revised Investment and Enterprise laws, which will take effect on July 1, are hoped to improve the country’s investment environment. They were designed to respect and uphold business freedom while focusing on equal treatment between domestic and foreign investors to ensure compliance with international treaties Vietnam has committed to. The Investment Law features administrative overhauls, including cutting the time to process foreign investment registration applications to 15 working days from 45 days as well as raising the responsibility of investors through deposit requirements and equipment quality appraisals.